The head of the Patriot / Minuteman mascot bobbles when the trophy is moved. 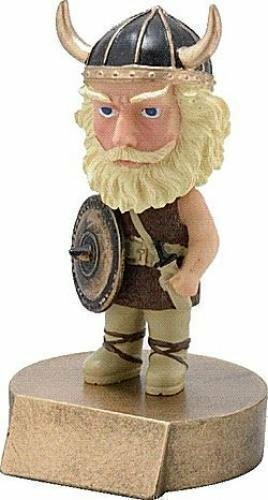 The bobblehead makes a fun resin award or trophy for school activities and sports teams. It includes a brushed gold plate with up to 3 lines of black engraved letters. 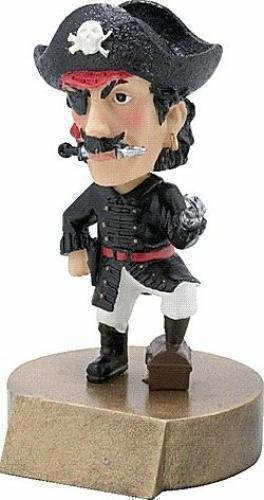 The head of the Pirate / Buccaneer mascot bobbles when the trophy is moved. The bobblehead makes a fun resin award or trophy for school activities and sports teams. It includes a brushed gold plate with up to 3 lines of black engraved letters. The head of the scotsman / highlander mascot bobbles when the trophy is moved. 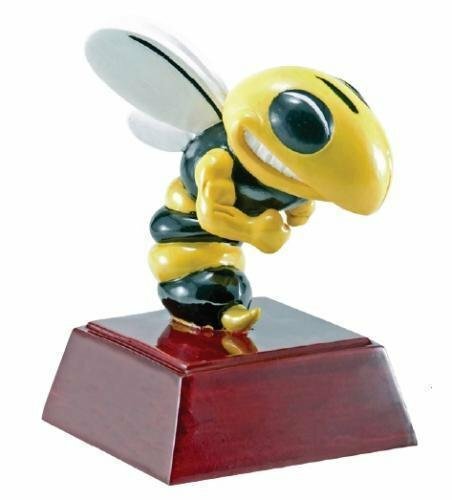 The bobblehead makes a fun resin award or trophy for school activities and sports teams. It includes a brushed gold plate with up to 3 lines of black engraved letters. The head of the Spartan / Trojan mascot bobbles when the trophy is moved. 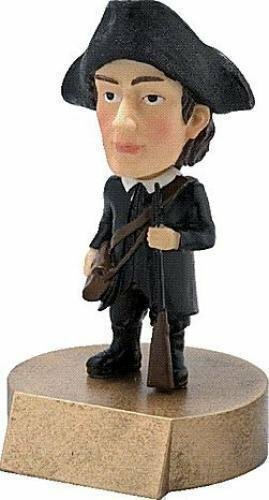 The bobblehead makes a fun resin award or trophy for school activities and sports teams. It includes a brushed gold plate with up to 3 lines of black engraved letters. The spelling bee resin is a great award or personalized gift for a graduate. It is personalized with a brushed gold laser engraved plate with black letters. 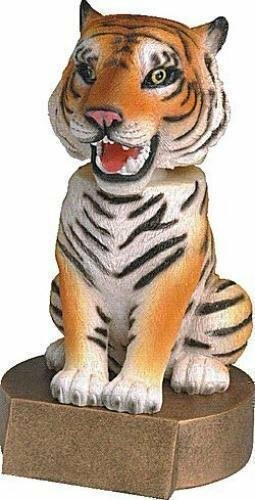 The head of the tiger mascot bobbles when the trophy is moved. 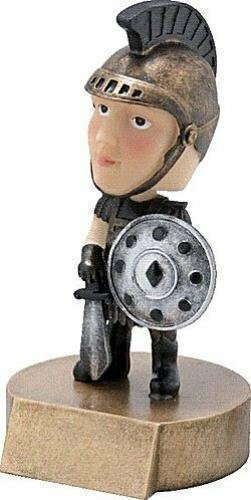 The bobblehead makes a fun resin award or trophy for school activities and sports teams. It includes a brushed gold plate with up to 3 lines of black engraved letters. The head of the Viking mascot bobbles when the trophy is moved. The bobblehead makes a fun resin award or trophy for school activities and sports teams. It includes a brushed gold plate with up to 3 lines of black engraved letters. 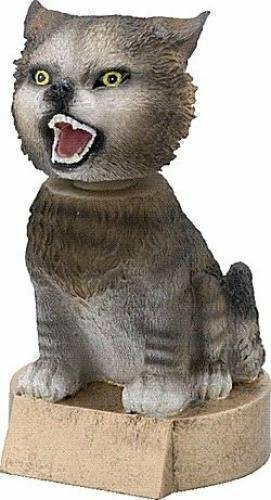 The head of the wildcat mascot bobbles when the trophy is moved. The bobblehead makes a fun resin award or trophy for school activities and sports teams. It includes a brushed gold plate with up to 3 lines of black engraved letters.